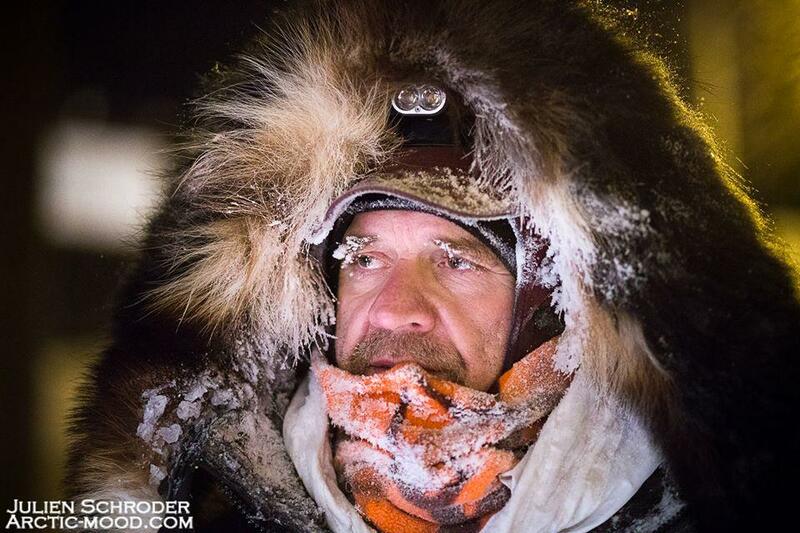 Eureka musher Brent Sass arrived first into Dawson, but he knows there's still more than 500 miles of racing ahead in Alaska. 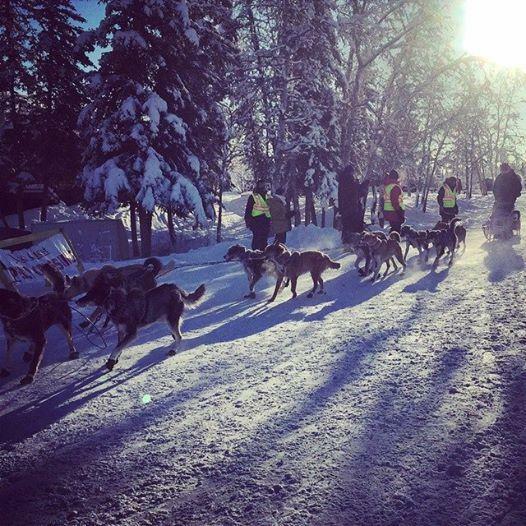 Dawson City, AK - The top Yukon Quest mushers have been arriving in Dawson City all night. The trail to the race’s halfway point has been rough, but mushers know the Alaska side of the trail could be even tougher and there’s plenty more racing to be done. 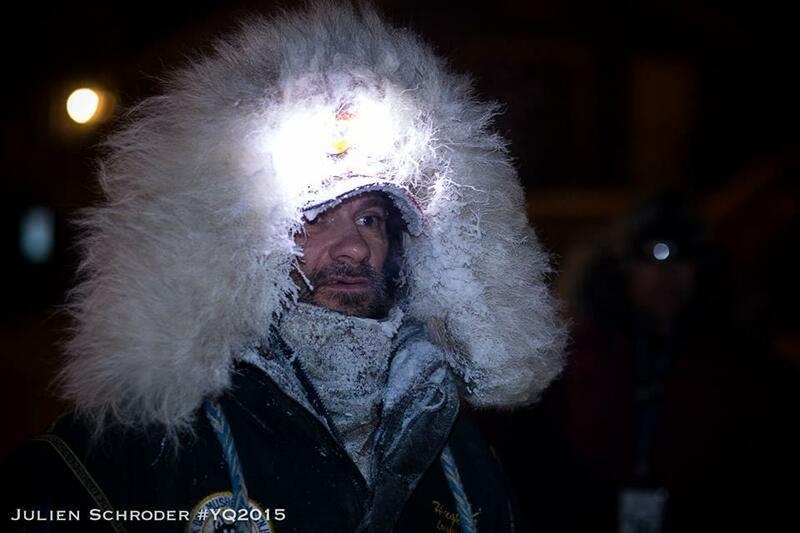 Eureka musher Brent Sass has a six-hour lead. He also stands to win a little extra prize money. If he crosses the finish line in Fairbanks, Sass will win the Dawson award: four ounces of gold, valued at roughly six thousand dollars. “Oh the gold, I’m not going to talk about it until the finish line, because I had a little incident last year,” said Sass. Last year, Sass was in the lead when he fell from his sled and suffered a concussion just over 100 miles from the finish line, so he knows anything can happen. The Alaska-side of the trail is notoriously rough. He said it’s been on his mind. After teams arrive in Dawson, they head for a small camp. That’s where Sass headed to bed down his dogs for their 24-hour layover. As he and handler Josh Horst removed ice-crusted coats and harnesses from dogs, Sass relayed a story about shin deep overflow near Dawson. Sass also tossed his dogs snacks while water warmed in a nearby cooker. 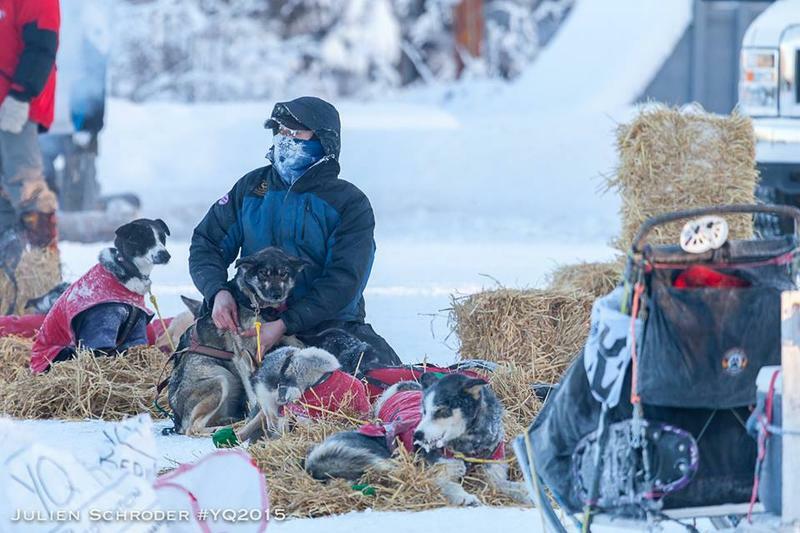 He says despite subzero temperatures, most of his dogs are well hydrated and holding weight. “They’ve been eating like horses,” he said. “It’s great, so I’m stoked about that. That makes my life a heck of a lot easier,” said Sass. Allen Moore, from Two Rivers, says he banked rest early for the second half of the race. Moore is in the hunt, from here on out. “The closer we get, if I get close to Brent, then it will be more of an advantage to me, I think,” said Moore. “I’m just hoping for a huge snowstorm and maybe slow them both down,” said Hugh Neff. When his tired team arrived in Dawson, his handlers were waiting with chunks of raw chicken. 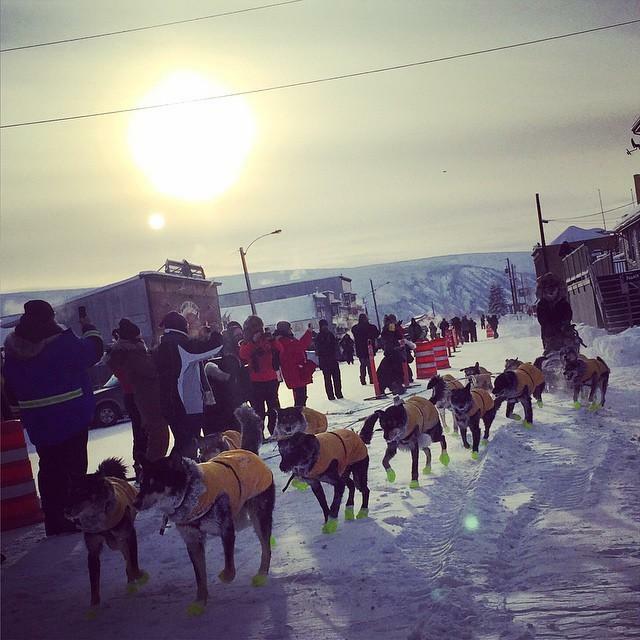 Hugh Neff arrived in Dawson City with a tired dog team. He says his team needs to regroup and he needs to rework his pan for the Alaska side of the trail. Neff plans to drop his young dogs for the next half of the race. Even with experienced dogs, he says it’s unlikely he’ll make up time on the two teams ahead. He also had a warning for Brent Sass. “Allen Moore is Allen Moore. He knows how to pick apart leads. I should know about that, so those guys are going to have fun going at it with each other,” Neff said. According to a weather forecast, temperatures may finally warm to above zero, which could challenge for Brent Sass’s large, thick-coated dogs. But there’s also a little snow in the forecast, which might challenge Allen Moore’s petite, short-legged team. There are still more than 500 miles of trail ahead. 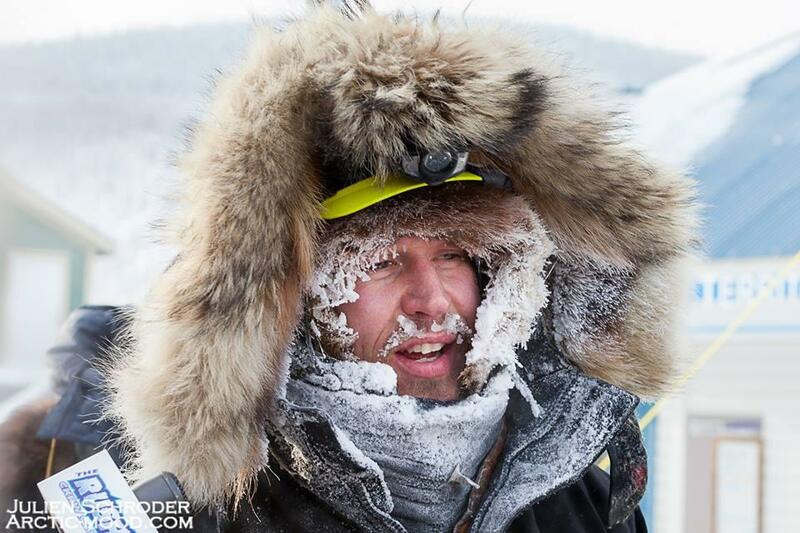 Dawson City, YK - Brent Sass was the first Yukon Quest musher to arrive today in Dawson City, the halfway point on the Yukon Quest trail. The 200-mile stretch of trail to Dawson City is the longest between official race checkpoints. Sass’s team overtook Hugh Neff’s when he blew through Pelly Crossing early Monday morning. Sass says he has been looking over his shoulder ever since, especially when overflow slowed his team just outside of Dawson. Pelly Crossing, YK - The first Yukon Quest musher to arrive in Dawson City is awarded four ounces of gold. This year, it’s valued at six thousands dollars. In order to keep the money, the team also has to finish the race. Gold or not, mushers have to find a ways to get to Dawson with teams that can still be able to race on the Alaska-side of the trail. Allen Moore was explaining his race strategy when his alarm went off in the Pelly Crossing Checkpoint. “Uh oh, it’s time to get up. Alright, I’m awake!” he joked.